I will talk about some Kanji today! 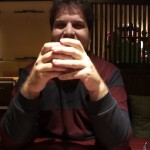 While I was with Sylvain last Monday (man! can’t believe it has been a week already! ), French vending machine do not have coffee. With that discovery, Sylvain bought a can coffee at a vending machine. 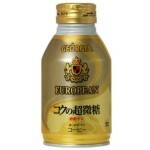 If you are coffee drinker, you may want to know if the coffee is either black, with sugar etc. Oh I am a tea drinker by the way :p.
So let’s talk about how to tell what type of coffee you are looking at at the vending machines. Here are the photos I got from Amazon. 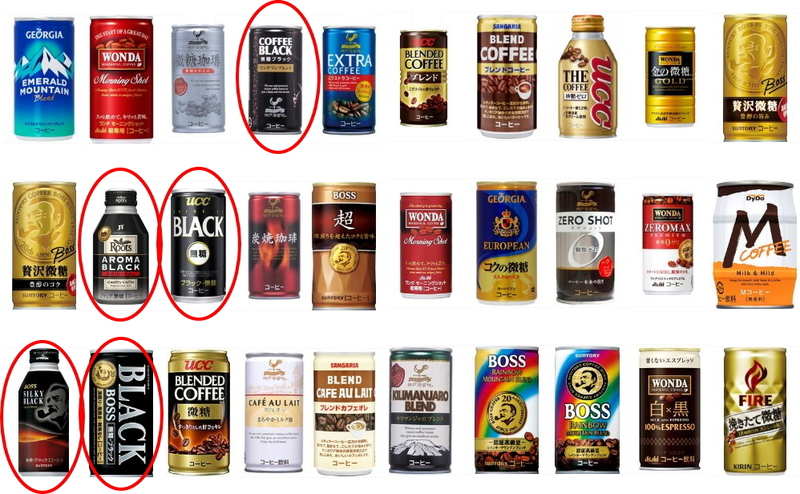 It is probably not hard to tell which one is black coffee since it is said “black” in English and the cans are black (circled them in red in above photo). Now let’s find out about less sugar :D! Sylvain wanted coffee with less sugar. It would help if you are too. Do you recognize a same kanji on above photo?Actually there are 2 kanjis in common. The latter kanji means sugar and first kanji is small sort of. 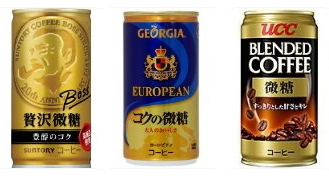 So if you see those kanji on the cans, you know the coffee is less sugar. There are coffee with one more kanji before them also like this one below. It says . This one has even more less sugar. 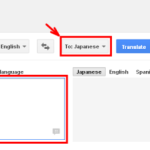 The first kanji means “super” :D.
Hope it will help you find the coffee of your choice when you come to Japan ;)!! P.S. Oh, I just remembered. The best line Sylvain made while we were together. There was a girl while we were walking together that he thought was cute. He murmured that ‘I would press “like” button if she is on facebook!’ I thought it was hilarious XDDDDD!